All use frozen fruit or vegetables that are sold loose from your local farm shop. Remember to take your own tub to fill to save using a plastic bag. A hearty family meal that’s healthy, packed with flavour and super simple to make. Best served with a crisp green salad and slices of crusty bread. 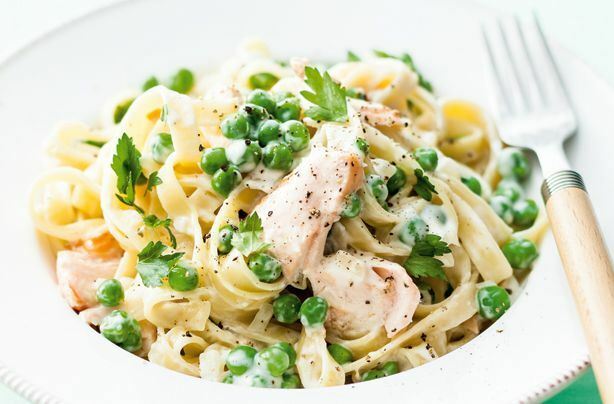 Made with crème fraiche, it takes just 20 minutes, this pasta recipe is perfect for busy days when you need healthy family food fast. This recipe is far fresher and lighter than traditional lasagne and ready in just 20 minutes. One of the beauties of frozen food is that it is incredibly versatile and it can be used as an ingredient in many different dishes. Our recipe hub will give you a whole host of ideas on how you can use frozen food in your cooking. For more recipe inspiration check out the field fare website.